E3 2011: E3 Updates; Xbox Live to Feature Youtube, Minecraft, and much more; PS Vita and Wii U News. Plus, some free stuff. Anyway, this week has been all about E3. From what I’ve saw and read, I’m pretty impressed with what’s coming out soon. So let’s get right into it. For a full list of trailers and gameplay, check out this link. Next, the two big device reveals were the Wii U and PS Vita. -Select, Start, Home, Power, A, B, X, and Y Buttons. L/R Bumpers and ZL/ZR Triggers. 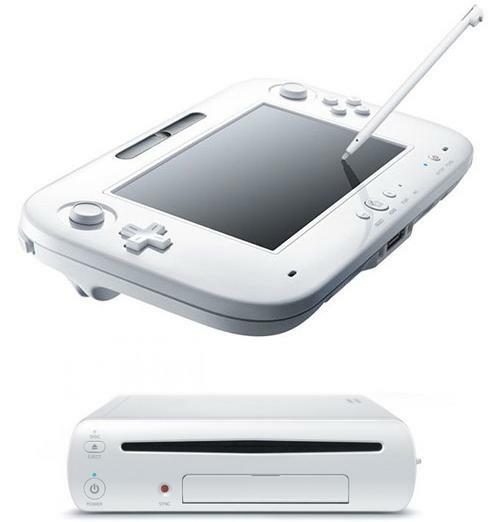 The Wii U is reported to launch after April 2012. The PS Vita is reported to launch during Holiday 2011. The PS Vita will cost $249. Microsoft announced that a Youtube functionality and PC smash-hit Minecraft will be coming to Xbox Live. Xbox Live, Youtube, and Minecraft all together? That pretty much sums up my life. It couldn’t get any better than this. In other news, you can download the Portal 2 soundtrack via the Official Portal 2 website for free. (Just click on “Official Portal 2 website”, which will then direct you there. Then click on ‘Download Volume I’). Additionally, you can download the individual tracks for your Android or iPhone by clicking the links underneath the tracks that say ‘Android’ or ‘iPhone’. Also, Rockstar Games has released a free kindle version of L.A. Noire: The Collected Stories on Amazon here. Even if you don’t have a Kindle, you can still view it on your computer by selecting [Your Name]’s Kindle for PC. Speaking of L.A. Noire (which is an awesome game, if you haven’t checked it out), the Rockstar Pass for L.A. Noire only has a few days left to get current and future DLC. The cost is 800 MS Points/$9.99 and includes: The Badge Pursuit Challenge, Chicago Piano Gun, The Naked City Vice Case, A Slip of the Tongue Traffic Case, Three Suits, and two future DLC’s: Reefer Madness Vice Case (release: July 12) & Nicholson Electroplating(June 21) Arson Case. This offer is only available until June 14th. Then the price will go up to $12/960 MS Points.